Doctor is very knowledgable and kind. I don't dread my appointments. I just wish he was open on Fridays but youknow what, he's so good. I'll make whatever day he is available work. Doctor is very knowledgable and kind. I don't dread my appointments. I just wish he was open on Fridays but you know what, he's so good. I'll make whatever day heis available work. I was seen at the Mayo Clinic in Rochester, MN. Mayo kept me at the clinic for a week, theyran MRIs, CT Scans, X-rays, Blood tests. Dr. Sham saw me for 5 minutes: no x-rays, CT scans, or MRIs- looked at me.He decided Mayo Clinic and the University of MN Hospitals were wrong in my diagnosis that I have been treated for the last 30 years with 8 prior Rheumatologists. Over this time, I have had every side effect known to my autoimmune disease. I was seen at the Mayo Clinic in Rochester, MN. Mayo kept me at the clinic for a week, they ran MRIs, CT Scans, X-rays, Blood tests. Dr. Sham sawme for 5 minutes: no x-rays, CT scans, or MRIs- looked at me.He decided Mayo Clinic and the University of MN Hospitals were wrong in my diagnosis that I have been treated for the last 30 years with 8 prior Rheumatologists. Over this time, I have had every side effect known to my autoimmune disease. Dr. Shams is a Rheumatologist involved in the care of patients with arthritis and rheumatic diseases. Dr. Shams had his rheumatology training at Johns Hopkins Hospital. Following his rheumatology training, he became a faculty member for one year and then moved back to St. Agnes Hospital where he had his residency in internal medicine. Dr. Shams started a rheumatology program at St. Agnes Hospital and trained medical residents at that institution for 30 years. He also started an arthritis clinic at St. Agnes Hospital where he took care of indigent patients with rheumatic diseases. 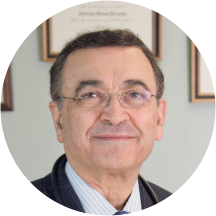 Dr. Shams is a Founding Fellow of American College of Rheumatology and has dedicated his life to care for patients with rheumatic diseases and teaching of medical residents for which he received numerous awards. Dr Shams is wonderful! Very kind and knowledgeable.. They were running behind but kept me informed. The staff were friendly and I love that they did the blood work in the office. He was one of the most knowledgeable doctor that I have ever been to. First visit. No complaints. I was expecting a more modern facility but it was clean and orderly. The staff was kind and personable.